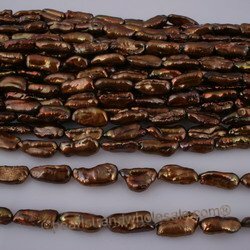 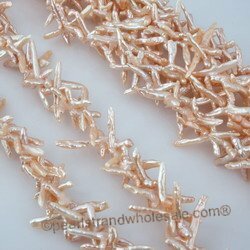 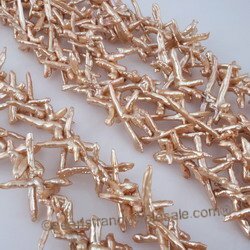 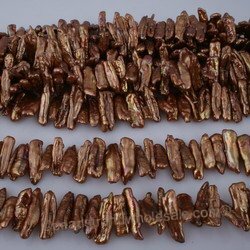 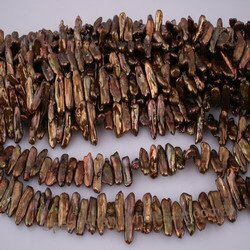 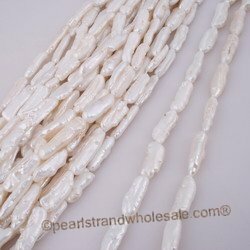 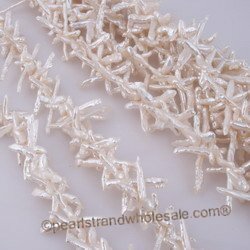 wholsael freshwater biwa pearl beads strand at wholesale price and disscount price! 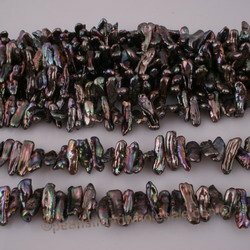 Knowledge: Biwa Pearls,also called stick pearls are long, flat and narrow. 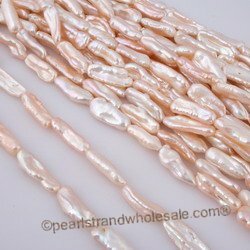 They can be drilled through the flat middle of the pearl ("center drilled"); they are also drilled through the short dimension of the pearl, but at one end, rather than the center ( "top drilled"); Some stick pearls are drilled on the long dimension ("end drilled").